Our friend Becky from The Craft Closet went down to the Design your Career Conference in Bournemouth recently and so we asked her to do us a little post so that she could share with you what she learnt! Enjoy. 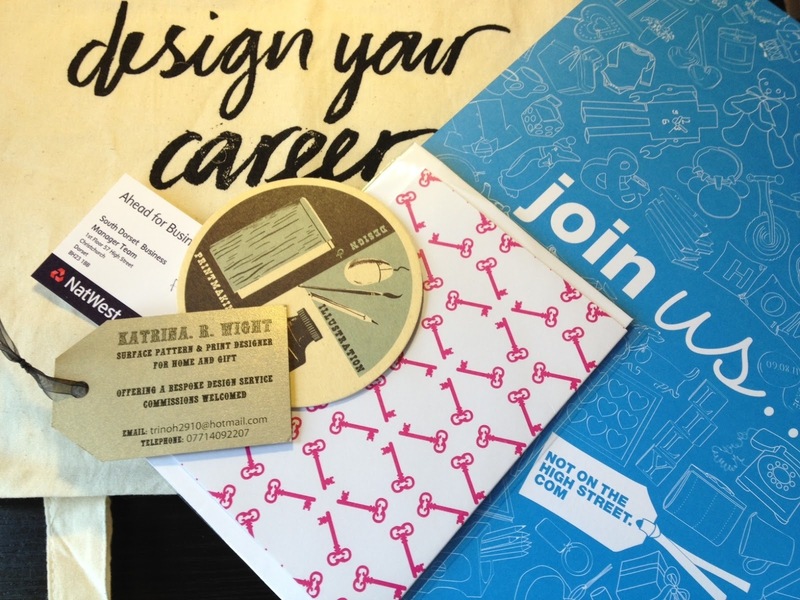 I recently attended Design Your Career, a two day event in Bournemouth offering a one stop shop on how to establish and run your own creative enterprise. I have returned with a goody bag full of business cards, a notebook full of scribbles and a wealth of information and inspiration! The organisers; Craft Coffee and Cupcakes put together a weekend of speakers, networking opportunities and workshops which covered topics including branding, social media, networking, blogging, accounts and promotion. For a full list of speakers from the event have a look at the website, but here’s some of my favourites and some of their top tips ……. Laura Mulhern from South West Artwork shared a great insight into social media. She described Facebook as your business “magazine”, great for visuals and should be regularly updated like a physical shop window, and Twitter she referred to as a “party in the kitchen”, perfect for networking but remember the rules of social etiquette! Be a sharer, not a show off! Laura also talked about the importance of daily engagement, keeping all forms of social media current and up to date. Engage with people who aren’t necessarily in your direct circle but might have similar interests through the hash tag and daily trends. 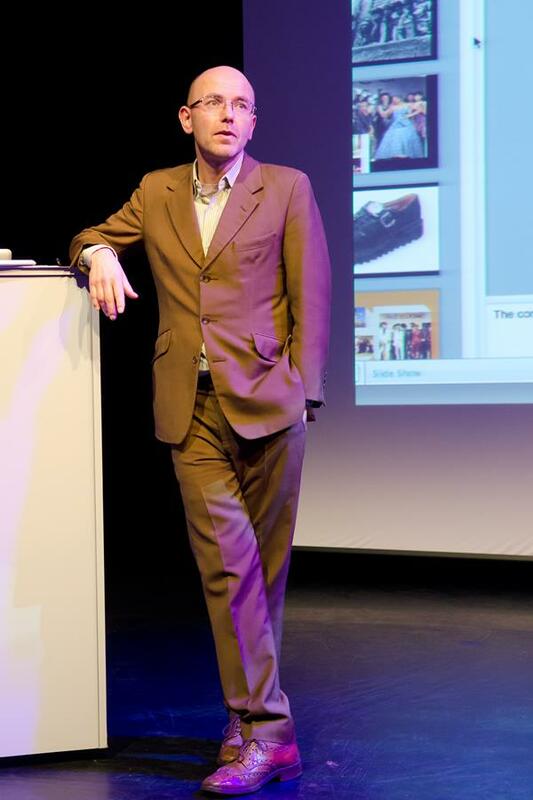 Brand was another popular topic over the weekend, with an interesting talk by Mark Master from The ID Group. He focused on the importance of building a relationship with your customers as people will buy from businesses they; Know, Trust and Like. If, as a business we have a personality and opinion it makes it easier for people to distinguish who we are and what our business is about. This clear brand image will reinforce the idea of knowing, trusting and liking a business. His other recommendation was to “over deliver”. Go the extra mile to build a dialog with your customers, focus on what you can do for them, provide a service they will want to use again and again and will recommend to others. Available throughout the first day, were a number of one-to-one workshops where experts offered advice on a range of business topics. Unsurprisingly, the most popular experts were online retailers Not On The High Street, who were offering feedback on products or ideas. From the people I have spoken to who attended the event, NOTHS were making some very constructive suggestions for how a product could be made more commercial, or more attractive to their specific customers. This focused feedback I felt was great, really useful. As a curated online retailer the products they support must represent a certain standard of quality. Other popular online shops such as Etsy & Folksy offer creative business’s a fantastic opportunity to sell online and build a name for themselves but you are surrounded by such a wide range of products, that making yourself stand out in these circumstances can sometimes be difficult. Research where you will be selling, this might be online, in a shop or craft fair and see what the key words are used to describe products. Look and see if your market is already saturated and what the pricing range is. Good photography is vital! Look and see how other people have styled their products. People won’t buy a product unless they can see it. More marketing knowledge came from Patricia Van Den Akker, Director of the Design Trust, and a speaker I was really excited to hear from! Patricia is a business advisor, trainer, coach and mentor for creative entrepreneurs, so she had lots of advice for us. Focusing on marketing our business, we each brainstormed a Marketing Plan during her talk, discussing our niche, specialism, values and strengths. I made lots of notes during her talk and I would highly recommend heading over to the Design Trust website for a wealth of information for small businesses, it’s a fantastic resource. Lastly, a highlight of the weekend event for me was the talk by Wayne Hemmingway; who’s core philosophy is to “improve things that matter in life”. He talked about his market days selling handmade and vintage clothing at Camden with his then girlfriend Geraldine after spending the rent money on band rehearsals. Building their fashion business ‘Red or Dead’ whilst remaining true to their values, eventually taking their stock out of Harrods and moving to the High Street in Top Shop and Selfridges. Even now they have stuck to their ethos of selling affordable designer products with a range of tile design available at Tops Tiles for example. Although he wasn’t talking about how to start up in business, he was very inspirational explaining how his own business had emerged when his upbringing, curiosity and core values met with opportunity. Throughout the weekend, we heard a variety of people talking about the many things we can do to improve our business from social media to branding, marketing and networking. But each speaker, whatever their topic, mentioned one word on several occasions, essentially it all come down to opportunity - Have an open mind, to see opportunities where you might not have expected them. Work on building relationships with customers and peers so that more opportunities might arise. As Wayne Hemmingway said, “Do not fear failure, embrace it”. 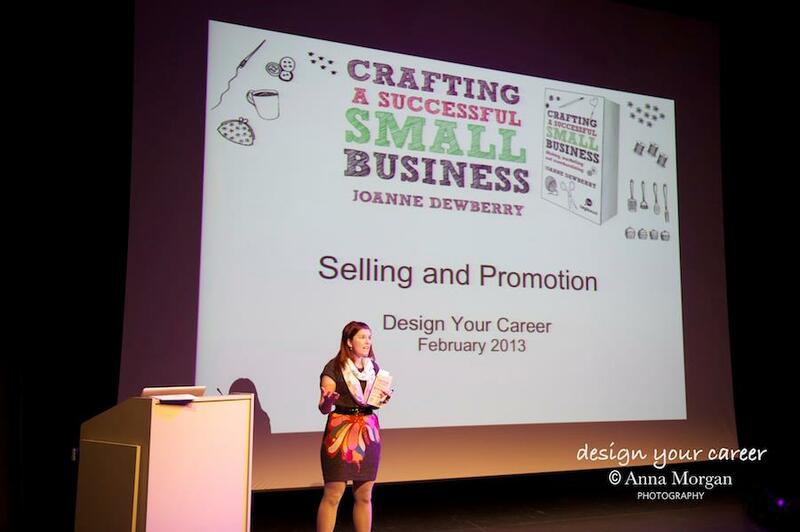 * Joanne Dewberry also has a new book out: Crafting a successful small business. It has gone straight on my Amazon Wish List! We think Becky must have had loads of fun and wish her and Nic all the best with getting through all those notes and getting more and more of their work out there. They have already been seen in crafty magazines and so you should definately check out The Craft Closet for some presents! Right, I am off to make some notes of my own! Thank you so much for the lovely review am so glad you enjoyed my talk Becky. Am off to socially stalk you now :) hehe! glad you liked Becky's review, next steps to see what she gets up to!